When people decide to branch out and start their own business, we are always thrilled to be a part of it. 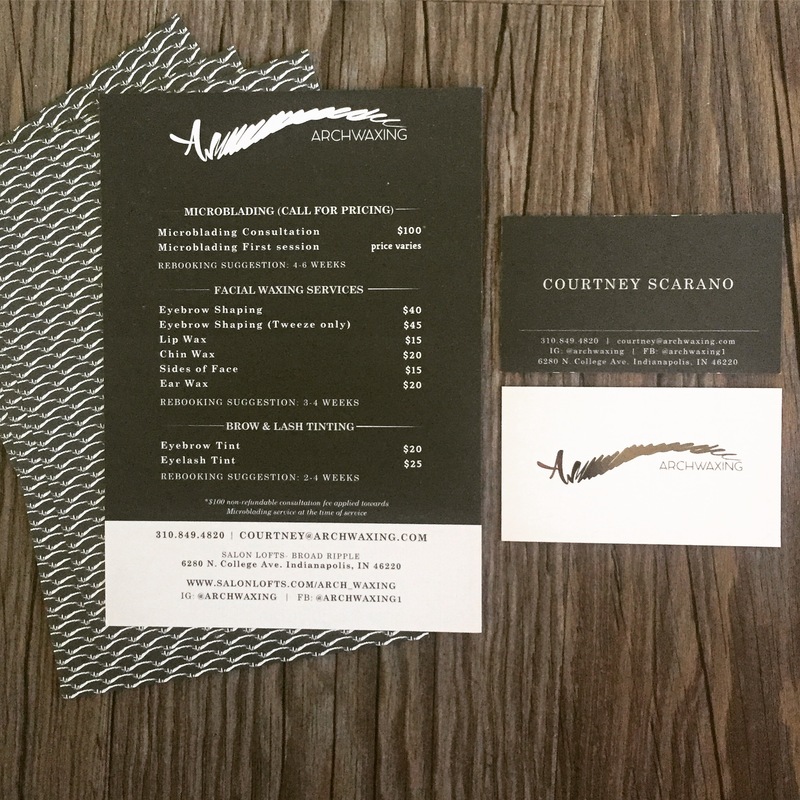 Courtney Scarano (owner of Archwaxing) made that decision, and also decided to ask us to take the lead on branding her new company. Courtney, is a Premier Brow Artist, offering a full array of brow services including waxing, shaping, lessons, tinting, and Microblading. She is based in Indianapolis, Indiana with her studio at Salon Lofts. Courtney wanted a sleek, sophisticated, and creative logo to represent her style which would also been seen in her office décor. We took this idea and created a hand drawn eyebrow (to give a feel of realness and personality) and incorporated the letters A and W (for Archwaxing) into the eyebrow shape. We felt this style would help convey the personal touch she will give her clients. An up close look at what she is passionate about, and an opportunity for potential clients to see their own brows in her identity. We went with some really nice printing techniques to add a chic touch to her branding. 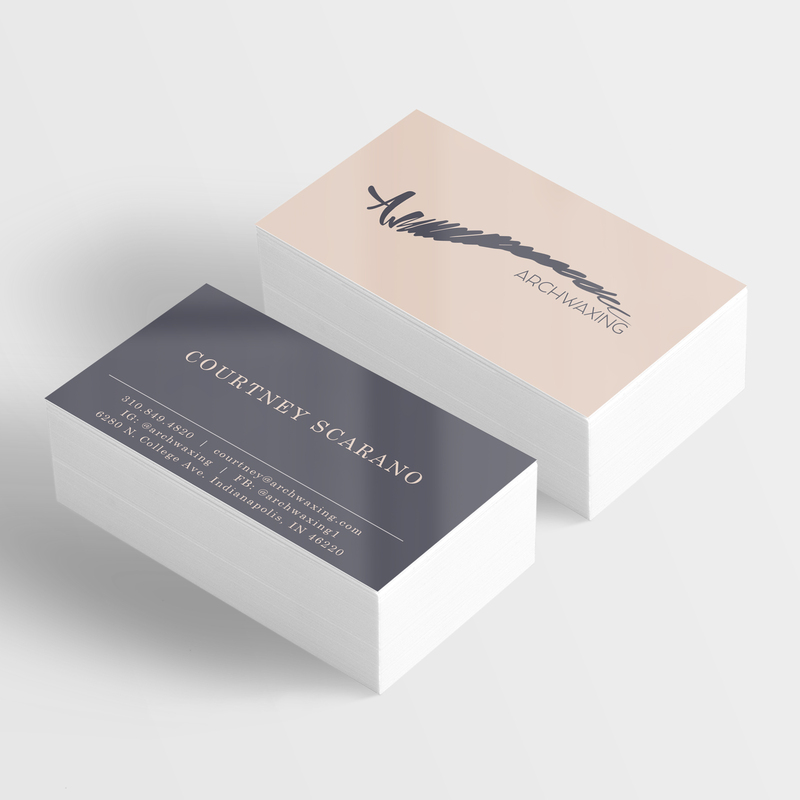 On her business cards we used a dark charcoal foil on her logo on top of a blush pink ink. On the other side we reversed the colors and used a blush pink foil for her name. This really adds a special touch to the cards and makes them pop. The foil colors are as unique as she is. 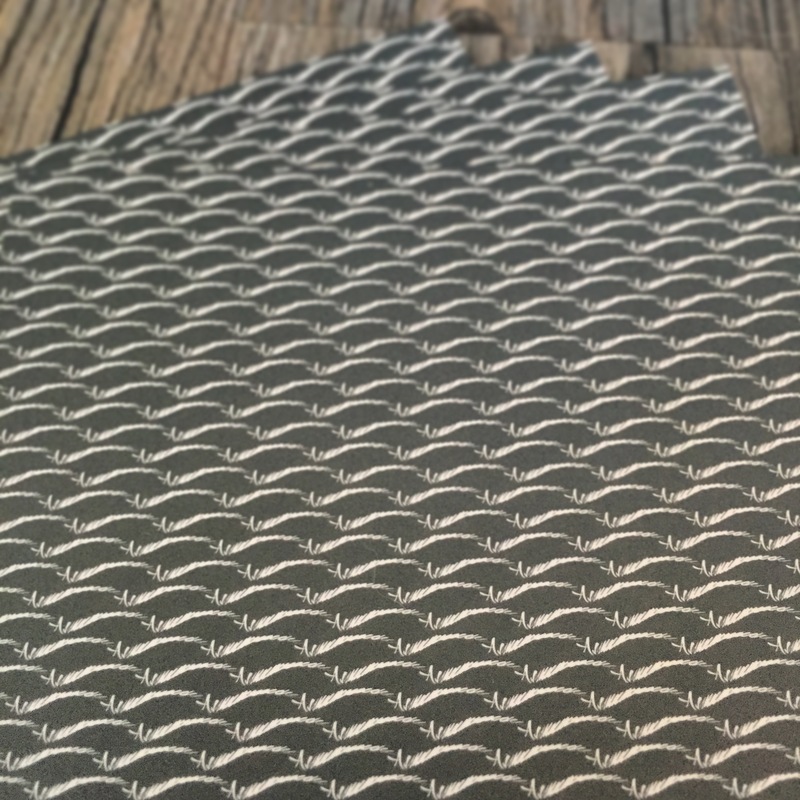 We also designed her menus – a 5x7 postcard that lists the services and prices she offers as well as her contact information – and on the back we used her logo to create a pattern that spreads across the full print. 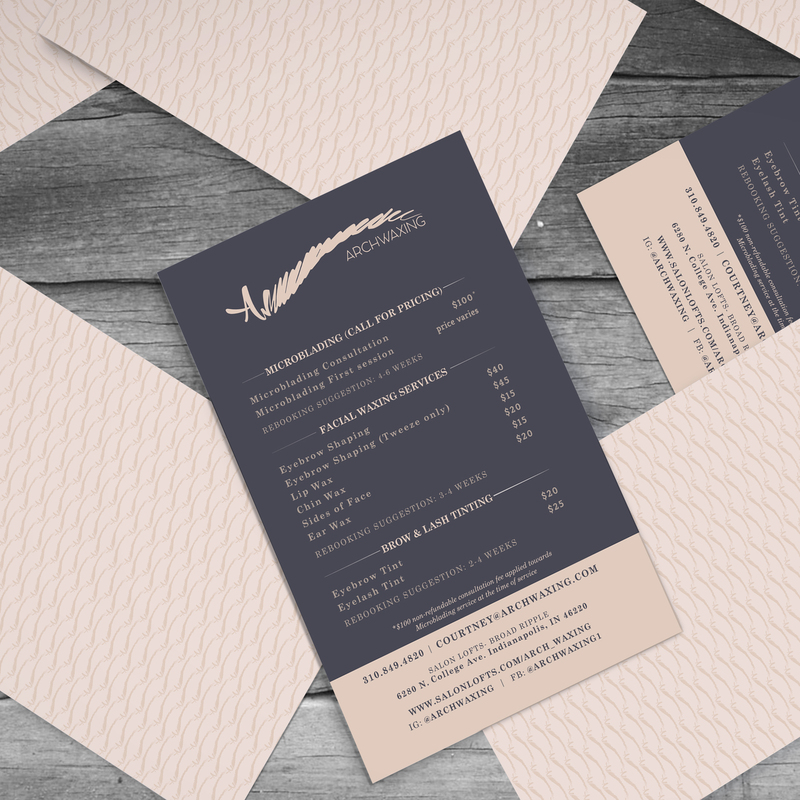 We made these menus cohesive with her business cards to carry her brand across both mediums. We wish Courtney so much luck with Archwaxing and can’t wait to see her bloom. Her identity, logo, cards and menu will set the foundation of her style, brand, and direction for years to come.